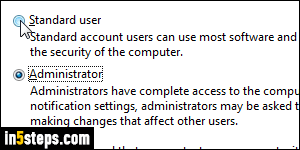 If there's only one user account on your PC, you need to create another user account that you'll use as administrator. 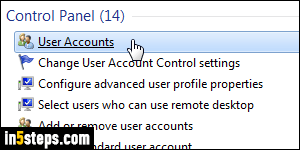 Once you have another account that you can use as admin, open the start menu and type "user" in the search field. 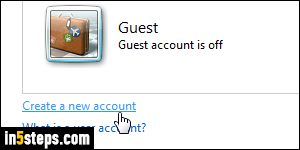 Click on the User Accounts link result under Control Panel. Converting your profile to a different account type will not affect your files or preferences. 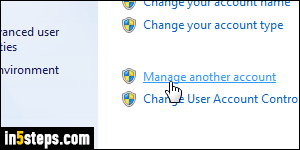 If you don't have yet another admin user, click on Manage another account: on the next screen, click on the user profile you want to set as administrator, and click "Change the account type" on the next screen. Pick Administrator instead of Standard, and click on the Change Account Type button. Once you have at least one admin user, you can change your own account type. If you skipped step 3, you are already on the right screen. Otherwise, click on your own username. Then, same thing: click on the Change the account type link, and downgrade yourself to a Standard user. 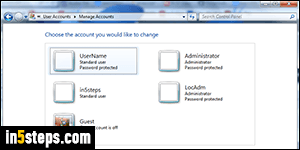 Depending on how the PC was set up, and/or security policies in your organization, it's possible that an account setup as administrator cannot be changed to a standard user. If that's the case, just create a new (standard) account that you use to log into Windows 7, instead of the current one! And you can always manually run a program as administrator or as a different user.